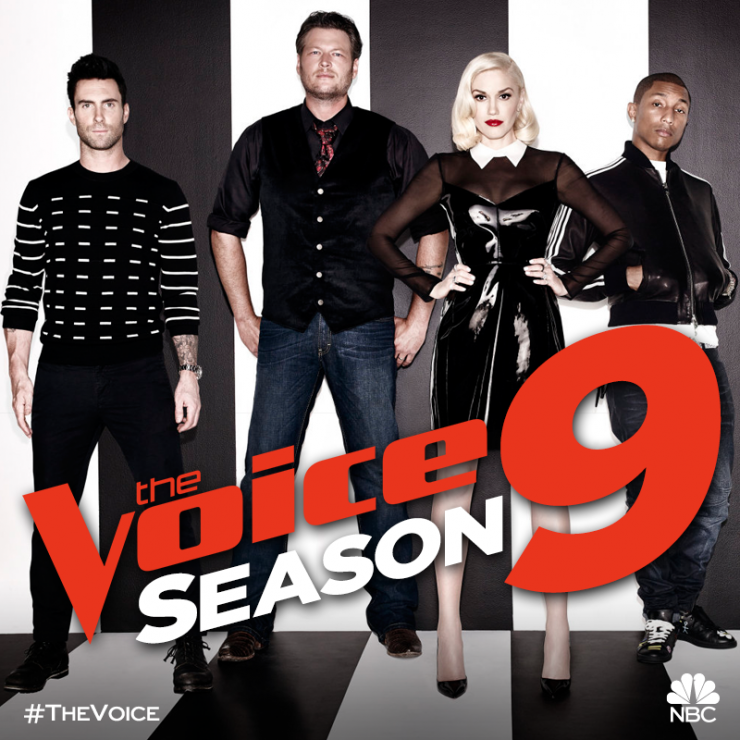 The Voice season 9 is currently airing on NBC Mondays and Tuesday at 8 p.m. ET. The judges of this season 9 include Adam Levine, Blake Shelton, Pharrell Williams, and Gwen Stefani. The Voice continues to be a hit of NBC for several seasons. This season 9 is not an exception. This season premieres on September 21, 2015, and had 12.37 million viewers with 3.5 rating in the 18-49 demographic. With the panel of famous judges, and many new fresh faces of contestants, the show is always a refreshing show to watch during fall. Blake Shelton and Adam Levine are most successful coaches of the show. Blake Shelton has won four seasons so far and Adam Levine has won 2 seasons. Pharrell Willams also won last season as a coach. Gwen Stefani has never won any season. She came back to the show for the second time and who knows what is going to happen. She might have the spotlight this season. With the season 9 is airing right now. The rumor about judges of next season leaked out. For the sixth time around, Christina will return to ‘The Voice’ Season 10 with Blake Shelton, Adam Levine, and Pharrell Williams. Christina has been on the show as a coach for five seasons, but she never has won anything. To be accurate, there was not any female coach ever win the show. With this coming back, the judges panel is almost original as the first season. Cee Lo Green was one of the original coaches. Christina is always a charming coach with incredible energy and enthusiasm. We’ll see what season 10 will bring with the returning of the spectacular Christina Aguilera. Could she win the show this time? I hope so.